Kiley and I were out shopping most of the day and I didn’t plan on anything in particular for dinner that night, so I wanted something that was fairly quick and easy to put together. I remembered that I had some Pace Picante sauce that the awesome people at Foodbuzz had sent me awhile ago, with having Kiley I put up on the shelf and totally forgot about it until I cleaned out our pantry this week! I’m so glad I remembered it, because this dish was awesome. I wasn’t quite sure how it would taste. When I told Chris what I was doing, his response was, are you sure? Well, yes dear I am sure and guess what he was even surer! Bring a pot of water to a boil, add pasta and cook to al dente. In a large saucepan, cook the turkey meat, make sure it’s in crumbles. Add the picante sauce and simmer for about ten minutes. 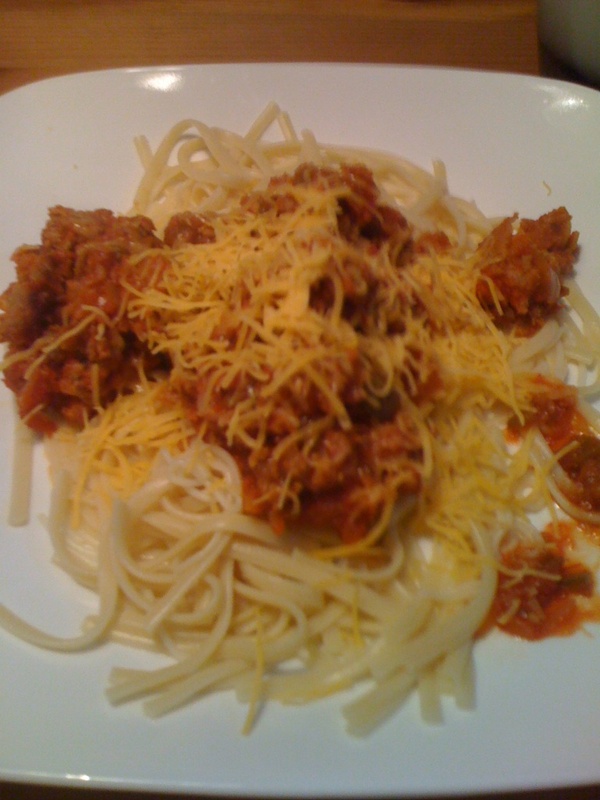 Drain pasta, place on plate and then top with meat mixture. Sprinkle some cheddar cheese on top. Simple, easy and fast. Three words describe this meal. Great for a busy week night meal! Heat oven to 350 degrees. Place veggies on a rimmed baking sheet and drizzle with 1 tablespoon of olive oil. Sprinkle with salt and pepper, mix to coat evenly. Roast for 25 minutes browned around the edges. Heat frying pan with 1 tablespoon of olive oil. Pat pork chops dry with paper towels and sprine both side with some salt and pepper. Place pork in pan and fry on both sides for 1 1/2 minutes. Remove from pan. Discoard remaining fat and return pan to medium heat. Add broth to skillet, boil 4 minutes. Return pork and nay juice to the pan and stir in heavy cream; cook another 4 minutes or until its thick. Stir in mustard. Serve with veggies! I found this recipe in the Woman’s Day December 2009 issue. I ripped it out and saved it, for a long time you can see, almost a year! You may be wondering why I waited so long to make, heck even I am! I like curry, ok, I kinda like curry. The husband always wants to make dishes with curry in them and I always cringe a tiny bit and say “nah, let’s use something else.” I must say after this recipe I don’t think I’ll ever shy away from using curry. It has such a great taste to it and adds great flavor to dishes. 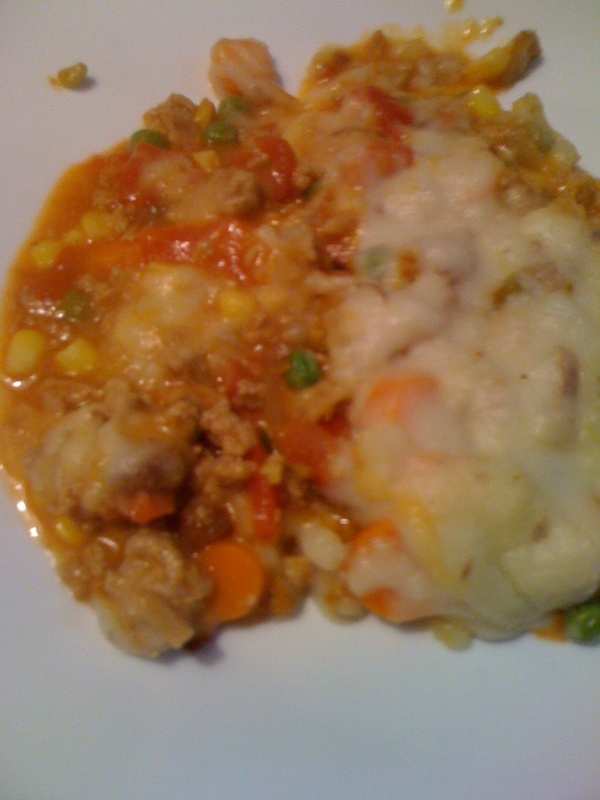 While this isn’t you traditional Shepard’s pie with lamb, this turned out really good and is a great alternative. Peel and cook potatoes till they are soft. Mash them and set aside. Heat oven broiler on high. Heat large ovenproof non-stick skillet over medium high heat. Add ground turkey and onion; cook breaking up meat, 5 minutes or until browned. Stir in vegetables, curry sauce and tomatoes with their juices. Simmer, covered, 5 minutes or until vegetables are tender. Add the remaining ingredients to mashed potatoes. Drop spoonfuls of mashed potatoes on top of meat mixture spreading to cover most of the top. Broil 5 to 10 minutes or until top is lightly browned. Let set 10 minutes before serving. 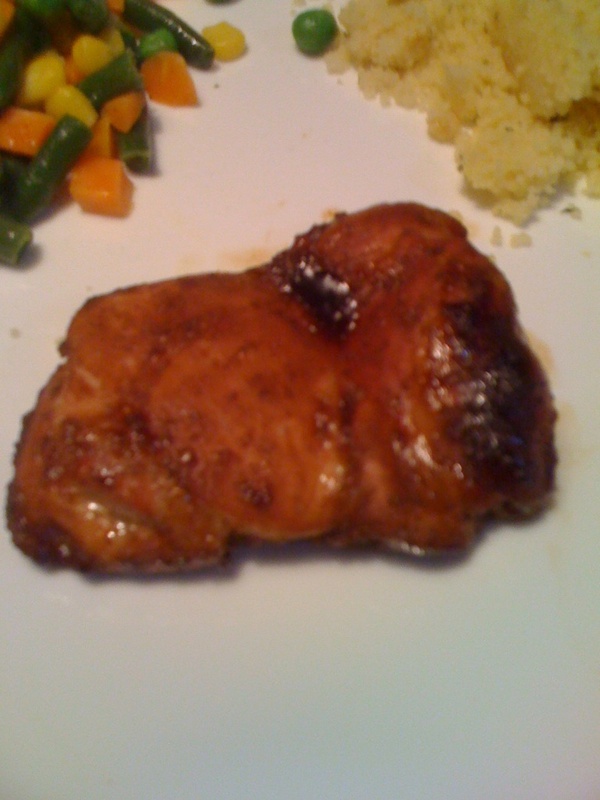 I’m always look for a new way to make chicken thighs since we eat a lot of them in our household. I saw this recipe in Parent’s magazine and decided to give it a whirl, with of course a few changes. 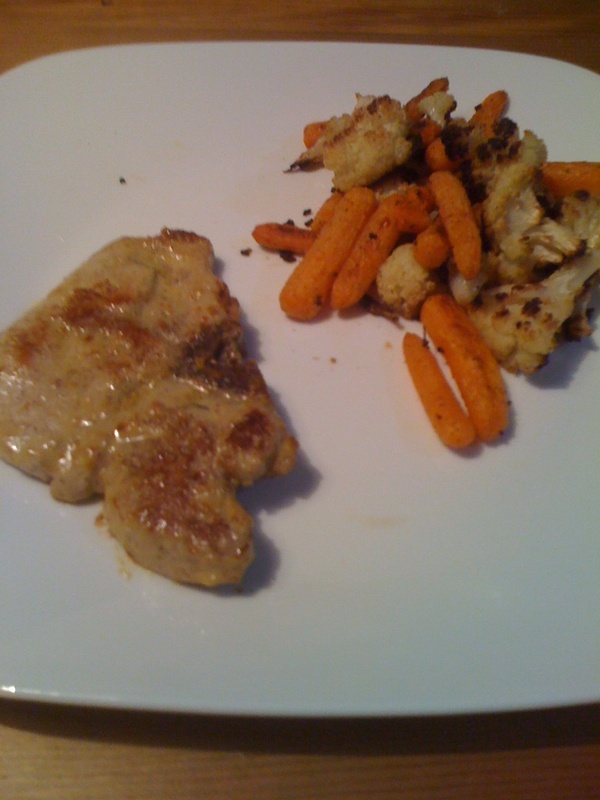 The original recipe wanted me to use spicy brown mustard, but I used a honey Dijon mustard instead. Since my husband is the king of flavor, I sometimes worry if what I use will have enough flavor for him, fortunately he loved this simple sauce! This recipe is just so easy because it uses 4 ingredients and takes only about 25 minutes! Coat a baking dish with nonstick cooking spray. In a small bowl, whisk together soy sauce, honey and mustard. Place the chicken thighs in the baking dish. Brush half of the sauce on the thighs, bake for 15 minutes. Brush the thighs with the remaining sauce and bake for additional 10 minutes.